PLEASE HELP! 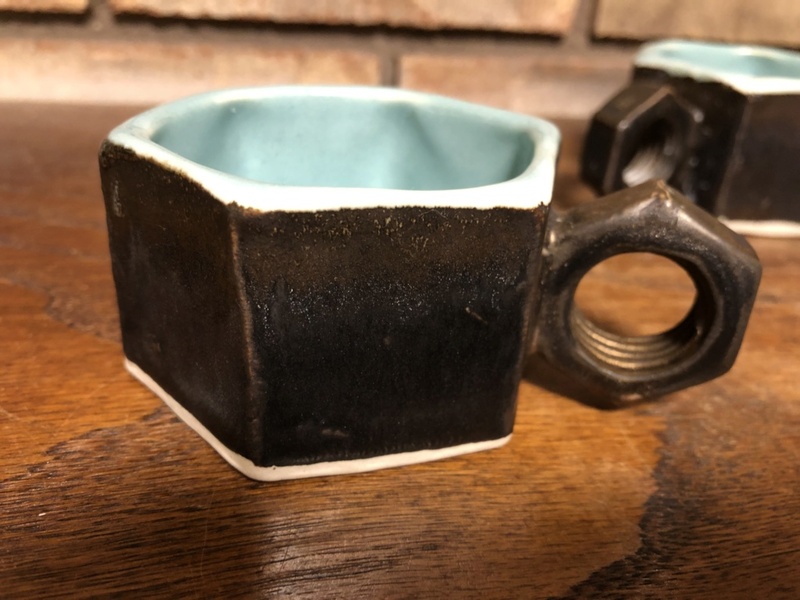 ART POTTERY SIGNED CUPS W/ BOLT HANDLES FJD? CLAW MARK? I recently purchased these unique cups at an estate sale and am having trouble identifying the artist. 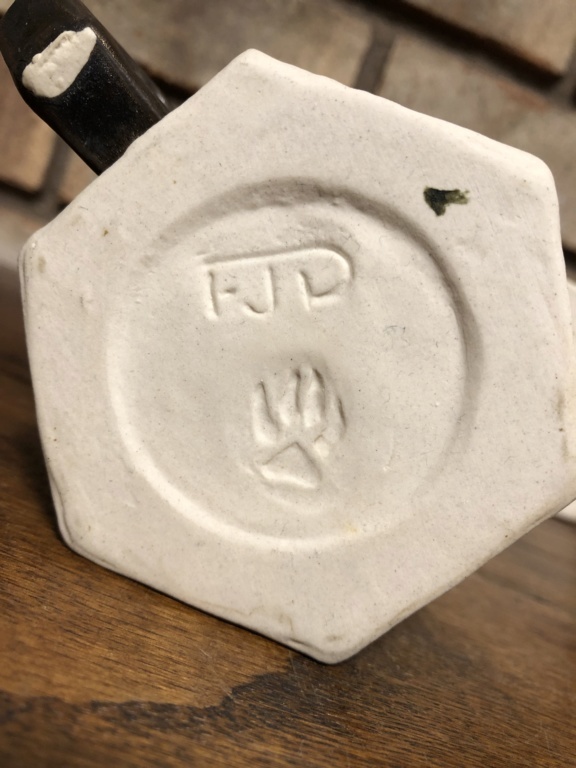 They have what appears to be an FJD stylized mark and a bear claw / paw print mark. Any help would be greatly appreciated! Each cup weighs 6.4 OZ and measures 4 Inches X 3 1/4 Inches X 1 3/4 Inches. Re: PLEASE HELP! 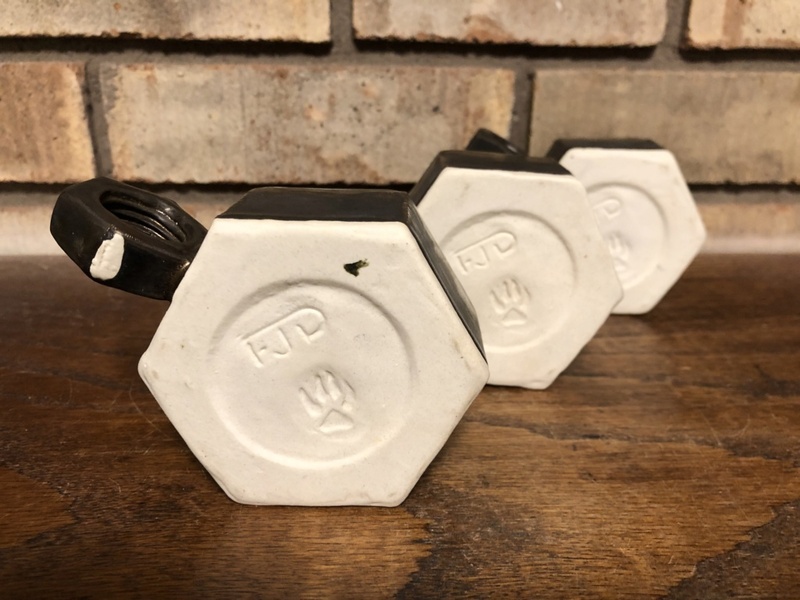 ART POTTERY SIGNED CUPS W/ BOLT HANDLES FJD? CLAW MARK? Certainly looks like a bear claw mark. Have you tried The Marks Project online database of US studio pottery marks? Those would be hex nut handles, but no help in your search at all. The bolt is the screw part.